We caught up with SAI Rome Custom Programs Coordinator Jordan, who is contributing to our blog this month. 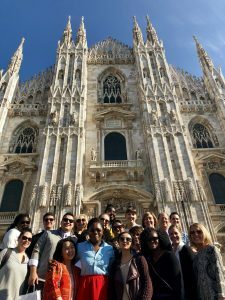 Jordan talks about his recent experience joining a Faculty-Led Program in Milan. 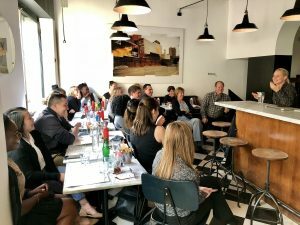 One of my favorite parts of my job is getting to travel around Europe with our Custom and Faculty-led Programs, learn new things and meet great people along the way. 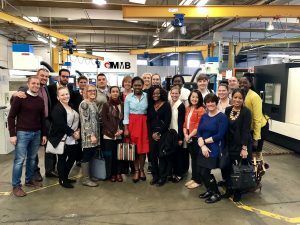 This last fall I had the opportunity to do just that when I accompanied a group of 16 Saint Mary’s University of Minnesota MBA students for their International Capstone in Milan. 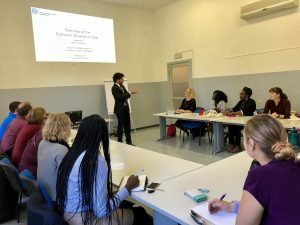 The focus of the program was getting to know Italian Business Culture. 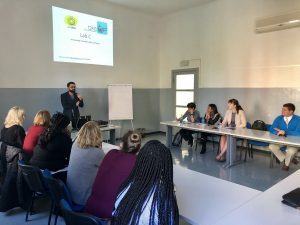 We arranged a series of lectures from local experts and business visits for the group, as well as some fun cultural activities as well. 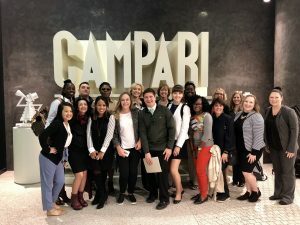 We had a great time, and not only did the group learn about doing business in Italy, they were able to experience it first hand while getting to explore this wonderful city! 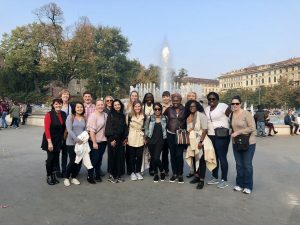 We started off with a walking tour of Milan, and luckily the weather could not have been nicer! Our welcome dinner was delicious, but it was so much that we could barely finish! We had a fantastic lecture on the Italian Economy. And later we learned from a small business entrepreneur. We visited the headquarters of Campari. And met with an American Restauranteur from NYC with a popular restaurant in Milan. We also got to go on a factory tour with the CEO. And of course, we visited the magnificent Duomo. Overall, it was a really fun and informative week. I can’t wait to do it again! 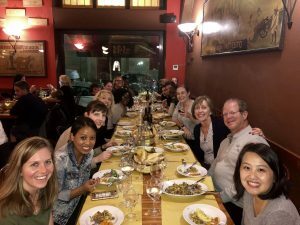 The SAI Rome office welcomes students to study abroad with SAI in the semester and summer at John Cabot University (JCU) and Italiaidea Institute.